Lupophobia is certainly not shared by indigenous Native American Indians or by a growing majority of non-native American citizens who oppose wolf hunting and trapping. The wolf is a species symbolic of a nation divided by a bipolar society that has yet to find unity of vision and values, ethics and spirit. "Tiny” a captive born wolf of McKenzie River region of Canada lineage with author Fox and with his son, Mike Jr., both boy and wolf smiling. I have studied wolf behavior and development, raised and lived with captive wolves and have done in-field research on wild canids. So I feel that I have some authority to speak for them. This is not for any organization or for my own personal gain other than my desire to see their intrinsic rights recognized and the sanctity of their existence, intrinsic value and contribution to healthy ecosystems respected and protected from human encroachment and recreational and commercial exploitation. 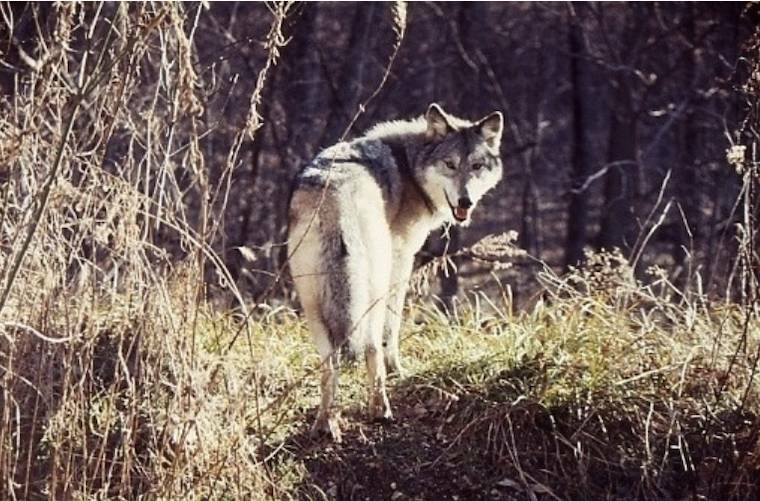 Some anthropologists and evolutionary biologists contend that wolves helped humans evolve through close observation and mimicry of the wolf, into followers and cooperative hunters of game species. This gives credence to such aboriginal aphorisms as “the wolf is my brother” and “Wolves made us human.” The Darwinian “Descent of Man” came after several millennia when select game species were domesticated, kept in herds and flocks guarded by dogs, Canis familiaris, and wolf-dogs, Canis lupus familiaris. Man declared war on his former ally and teacher, Canis lupus. The systematic extermination of the wolf began along with the desecration of the natural world to serve ever increasing numbers of people, nomadic and sedentary, and their livestock and crops. Lupophobia, the fear of wolves, probably has its origins during regional famines and wars when starving wolves and dogs scavenged human corpses and were themselves crazed and ravaged by rabies and other diseases. The ‘moral pluralism’ of America’s culture makes a mockery of democratic process when the majority of the populace want full protection for the wolf and are now witness to their nation-wide slaughter and to a spreading lupophobia. Internet pages posted by “Sportsmen Against Wolves” are especially revealing. They see wolf protectors and wildlife conservationists as representing the kind of society they abhor: One of tree-hugging Bambi-lovers that threatens their way of life and right to shoot wolves. The notion of co-existence, a traditional principle of Native American Indians now being promoted by some conservation organizations, is anathema to the pro-wolf hunting lobby. Wolf hunting advocates disclose a disturbing degree of ignorance about the balance of nature, wolf-deer and prey-predator relationships. They perpetuate the erroneous belief that exterminating competing hunters such as the wolf is an act of conservation, a “ management tool” helping preserve the balance of nature, as well as a sporting challenge to kill a ‘worthy adversary” as a trophy, testament to one’s own hunting skills. The notion of co-existence,( involving conciliation within and between cultures and with other species), is anathema to those non-native communities living in close association with the last of the wild which most American citizens are calling to be better protected. Wolf hunters, feeling threatened by wolf protectors and conservationists, are now enjoining across the country to justify and protect their rights. But if they were to connect their imagined fate with the fate of the wolf and every tree in the forest, wild flower in the prairie and frog in the swamp, they might realize, as Henry David Thoreau advised over a century ago, that “in wildness is the preservation of the world”. That does not mean the preservation of their way of life but their evolution into an effective, non-governmental community of wildlife monitors and conservators. Many deer hunters, for instance, like traditional Native American Indian hunters, having discovered the wisdom of biophilia, see themselves and wolves and other predators as essential components of healthy ecosystems. With such an ecological perspective they can begin to articulate a hunting ethic. This begins by separating any desire to kill from morally justified need; acknowledgement of the vital importance of wolves, humans and other predators in helping prevent deer overpopulation and loss of biodiversity, and then becoming a ‘boots on the ground’ force joining with other voices for conservation, habitat preservation and restoration in concert with wolves. Animal rightists must also evolve and not reflexively condemn all deer hunters as Bambi killers. 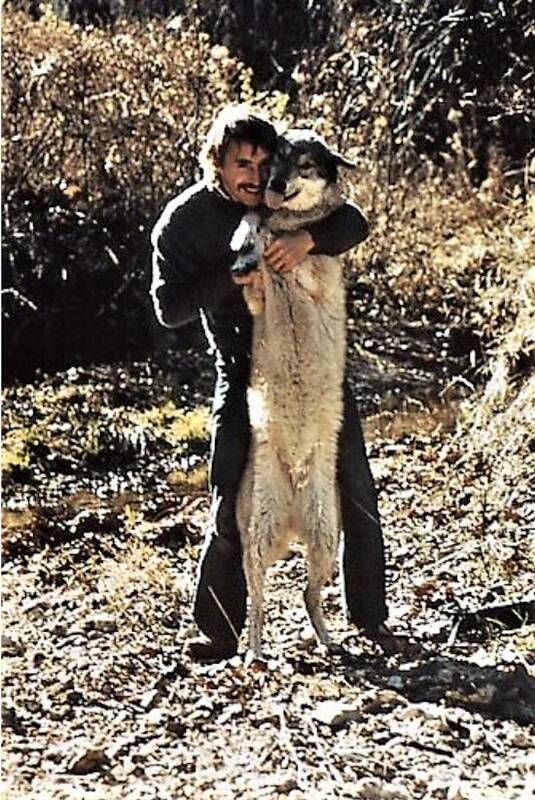 So long as lupophobia and the trophy mentality persist, and the erroneous belief, promulgated by federal wolf trapper and biologist David Mech, PhD, that DNR managed wolf-killing is ethically and scientifically valid species -conservation, wolves and other essential predators will continue to be killed by some hunters as well as by cattle and sheep ranchers. Their subsidized grazing rights on public lands and compensation for confirmed predator losses should come with a caveat prohibiting lethal methods of predator control. Without a unified sensibility, like those deer hunters who also abhor the killing of wolves as sporting trophies along with the majority of non-hunters, the disunited states will surely continue to fall short of becoming a truly civilized society. In early February 2014 a government-convened scientific review panel issued its report on the U.S. Fish and Wildlife Service’s plan to strip federal protection from wolves all across the country save for a small colony of Mexican wolves in the Southwest. 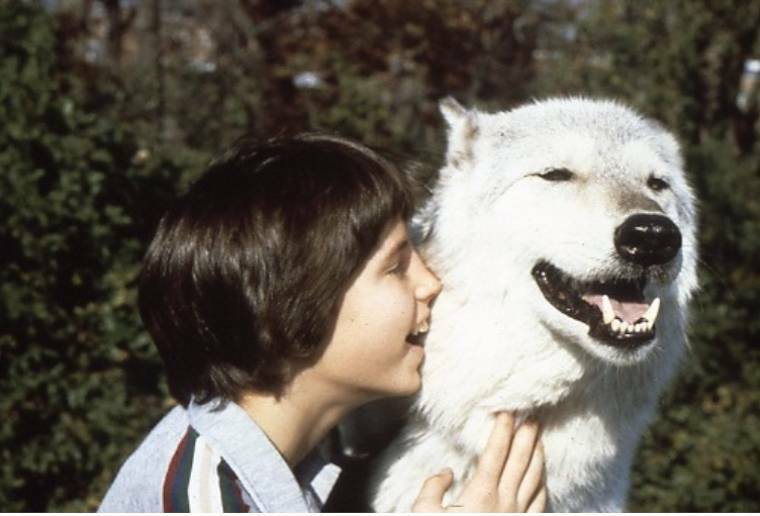 In the report’s own words: “There was unanimity among the panel that the rule does not currently represent the ‘best available science.’ “with regard to the government’s unproven claims about wolf genetics. The earlier removal of the wolf from federal protection under the endangered species act was similarly based on politics and not sound science as per the efforts of those such as Sen. Amy Klobuchar (D-MN) on behalf of constituent hunters and livestock owners. We should not forget that like most humans, wolves are predators; form strong emotional bonds and have familial ties, they and we play and sing, show empathy, manifest highly evolved communication, cooperation and survival skills, care for and protect the young and injured, and also on occasion fight and kill, even eat each other. But unlike us, wolves do not engage in genocide, their virtual extermination across some 90 percent of their range in North America paralleling the European insurgents’ systematic annihilation of indigenous First Peoples. We are now too many to continue to live as a predator-species, and a gentler mode of existence is the last hope for the survival and sanity of humanity and the recovery of social justice, eco-justice and a sustainable economy. Protecting and restoring cultural and biological diversity go hand in hand. Without empathy and compassion there can be no viable civilization when the pathology of self-interest condones violating the sanctity of every living being and the natural environment for selfish pleasure and profit. Whatever needs and desires that are satisfied by the killing of wolves, (justified rarely to protect defenseless domestic animals, most of whom should not be grazing in the wolf’s domain), are needs and desires perverse, profane. We are living witnesses to the now global consequences of this dominant culture’s competitive, religiously sanctioned, politically condoned dominion and imperialistic exploitation of the last of the wild and the free. Those who are calling today for the protection of wolves and other endangered and threatened species and communities, human and non-human, speak the language of coexistence, conciliation and respect for all life. It is a language of civil society that is alien to that of the dominant culture that sees wolves as a harvestable resource, a game animal and trophy species, and the life-giving and sustaining forests as a natural resource of so many board-feet of lumber. The rights of all sentient beings to equal and fair consideration are supplanted by the protected vested interests of minority groups abusing their political and financial power and influence for selfish gain. The “Wolf of Wall Street” is the apex predator of a dysfunctional society corrupted by its adulation of mammon that has desecrated the natural world and violated the sanctity of life. The status and plight of the wolf is a symptom of the spiritual and ethical corruption of this mode of human existence, and is one of many species falling victim to the encroachment and consumptive demands of our species which has become an infestation on planet Earth, causing catastrophic climate change and decimation of the life and beauty of the natural world. Such envisioning is the bridge of empathy enabling us to feel for others and to exercise our moral freedom of choice to act responsibly. To take pleasure in the hunt and the kill, and to enjoy wearing designer fashion furs from animals snared and trapped are aberrations of the ethics and spirituality of a subsistence way of living and of valuing life that was sustainable for millennia in our gatherer-hunter past. Now our children are corrupted by the values of consumerism and of treating other sentient beings as objects and commodities rather than as subjects of communion and community. The revenue generating belief that “wildlife must pay its own way” adds up to a kind of death tax from the sale of hunting licenses. Taking the wolf off the Federal Endangered Species Protection list and putting wolves under state management is a money-driven political ploy creating more jobs and income. Promoting the wolf as a valuable trophy species is another money-making DNR policy with its lottery system of winning permits to kill. Revenues generated for hunt outfitters and equipment manufacturers serve as an additional economic and political incentive for state authorities to promote the killing of wolves and other wildlife as a recreational sport. This is in total disregard of a more ethical, scientific and ecological approach to wildlife and habitat stewardship that does not give primacy to consumptive, exploitive and predatory human interests and values. Within every culture there are sub-cultures and cults defined by demographics, economics, education, religious beliefs and values shared and opposing. Good governance accommodates such diversity to maximize the good of the nation state, including proper management of natural resources and public lands. But the record of the U.S. federal and most state governments is lamentable, pandering to vested special interests. These include sanctioning and funding ranchers’ war on wolves and other predators and permitting hunters and trappers to kill wolves respectively for sport and for the fur trade. This all amounts to a violation of public trust and calls for full accountability and a return to good governance “of the people, by the people, for the people”. The public conflict over the fate of the Gray wolf has made this species an icon of opposing values and cultural discord. Resolution is called for through conciliation, legal protection of wolves with a ban on sport hunting and commercial trapping backed by effective enforcement and inspiration through education, of the sanctity, rights and inherent value of wolves and all indigenous species and communities, human and non-human. The fate of the wolf in North America will be a measure of the success or failure of civil society to put compassion and reason, justice and respect to bear on all our relations and relationships. And the rains all life sustains. But blood we spill and few dare care. So who will know, remember all was one? We should not forget that like most humans, wolves are predators; form strong emotional bonds and have familial ties, they and we play and sing, show empathy, manifest highly evolved communication, cooperation and survival skills, care for and protect the young and injured, and also on occasion fight and kill, even eat each other. But unlike us, wolves do not engage in genocide, their virtual extermination across some 90 percent of their range in North America paralleling the European insurgents’ systematic annihilation of indigenous First Peoples. We are now too many to continue to live as a predator-species, and adopting a gentler mode of existence is the last hope for the survival and sanity of humanity and for the recovery of social justice, eco-justice and a sustainable global economy.